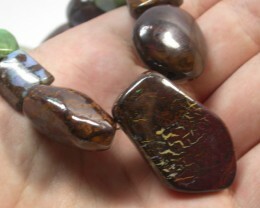 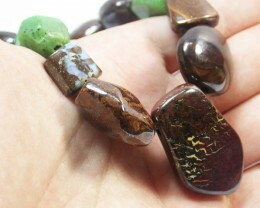 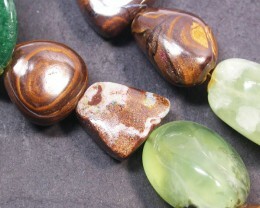 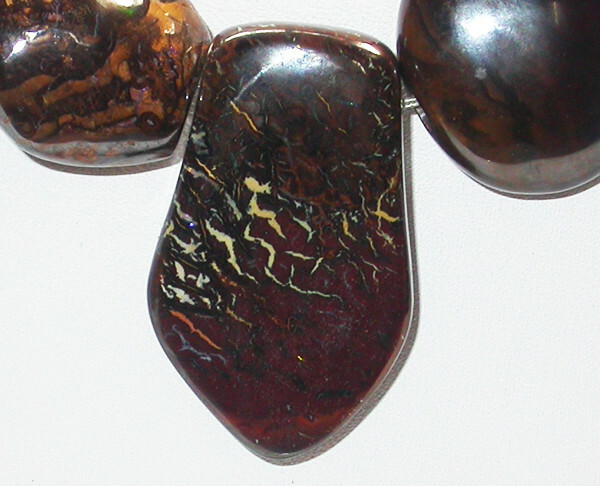 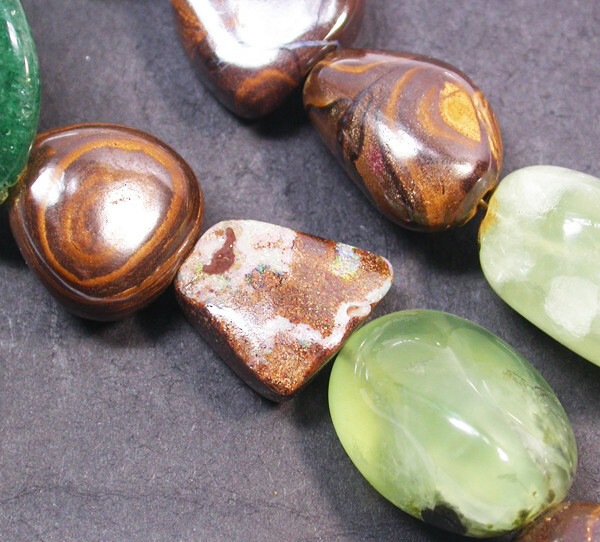 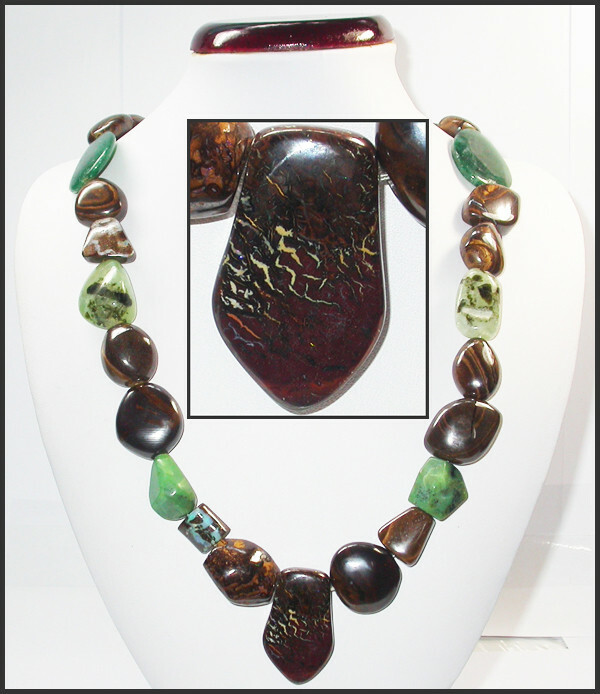 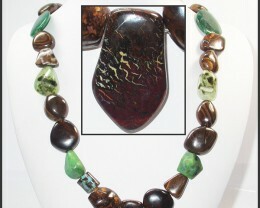 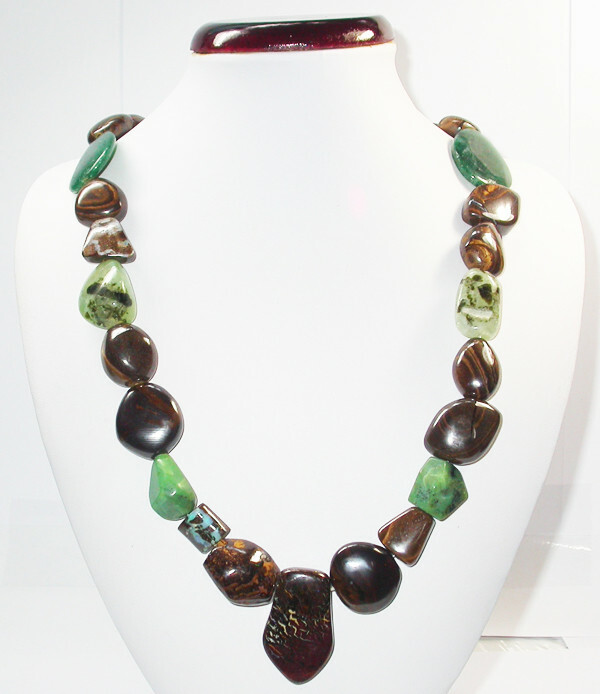 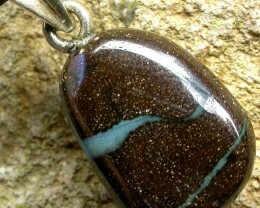 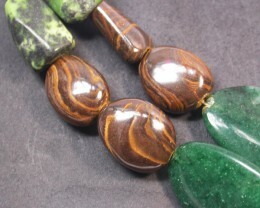 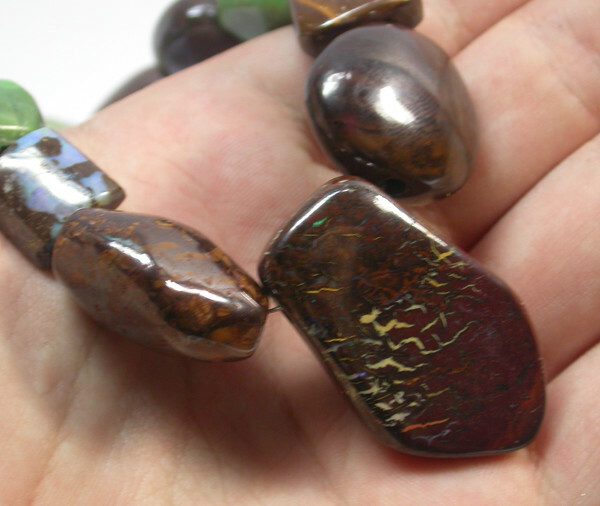 This is a chunky necklace with very well polished boulder opal enhanced with Adventurine,Phrenite,. 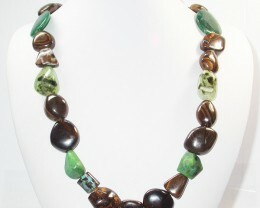 Length of necklace: 12 inches. 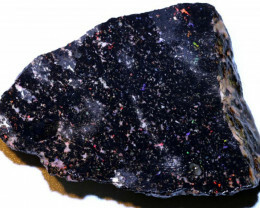 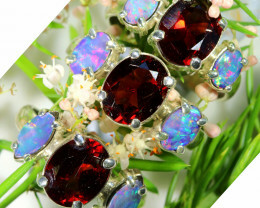 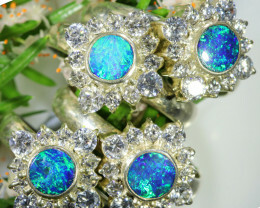 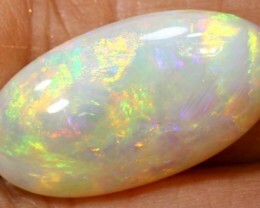 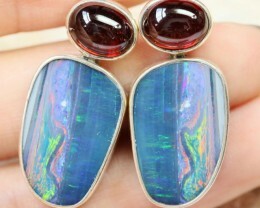 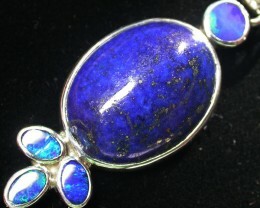 This item was made in our factory in asia and the opal in particular is well polished.